How much should I charge to clean a 5000 square foot house 4 days a week? It depends on what all you would be cleaning. Light cleaning or heavy duty cleaning? I would say for 4 days a week doing light cleaning, no less than $200 a week for a house that size, if not more. My housekeeper charges $15.00 (cash) per hour and I only have her for two hours every other week. She only does dusting, and floors, mopping, and vac. I have been cleaning a house and making $85 a week. This house is 3400 sq. ft and now they have tacked on about 7 loads of laundry, unloading the dishwasher, and bringing in the trashcan after the city has collected it. Please help. I don't want to sound like a prude, but don't want to be there for an extra 5 hrs doing laundry. I get there at 7:30 and don't leave until almost 5 now. I am actually done cleaning house between 11-12. *your price PER HOUR for house cleaning based upon the size of the house, type of cleaning, etc. *how much more you will charge for additional requests such as laundry, emptying the dishwasher, garbage etc. You should stand up for yourself even if it means you lose this client. Once you decide upon your fees and extra charges, give this client and all future clients a copy of your services and fees. After you and your clients come to an agreement, prepare a document for each client re the agreement of services and charges so there will be no questions down the line about fees and payment. However, I would like to add the following. To paraphrase a great lady, Eleanor Roosevelt, no one can take advantage of you without your consent. Im sorry if that sounds harsh. Saying no isnt always easy, I realize that, but it is a good word to learn. Please calculate how many hours you spend to earn that $85 and use that hourly rate to extend to laundry and the additional chores your clients have added to the list. If they dont agree to pay for the extra work, dont do it. If you dont point out the fact your time is valuable, your clients wont get the message. So if you were there for 5 hours, you would be making $17 an hour. That is pretty darn good money. Could you make more anywhere else? A lot of college graduates do not make $17 an hour. Sounds to me like $85 for a house that big she's getting a bargain already. If you give in to her terms it won't be long before she'll be adding a lot more. Don't let her take advantage of you. Sounds like these people are what I used to call 'canujusts', you know the sort " Before you go, can you just ...."? I agree with DCA and Rose Anne. Charge by the hour - they buy your services, not your soul. As I found out, if you do one extra thing they'll find you another. Some people are like that. I have a four bedroom, five bathroom house to clean. How much should I charge? I gave a client a quote of 140.00 dollars by way of phone through thumbtack. Now when I get there if it is more work than expected after I do walk through can I give a different quote? Certainly, you can't make money if you work for less than you find on your walk-through. Simply call the customer and explain. If they do not want to pay more, move on to your next customer. Work for free or work for full price; never work for nothing! Yes, you should certainly up your quote if you feel that the job can not be done properly for the phone quote. They either accept it or they don't. Move on to the next job if they don't. $140 for an entire house sounds far too little to me! How do I know how much to charge to clean a house? In my area, it's about $15 an hour. That's with the cleaner providing all materials and equipment. I am helping out one of my good friends who is a single mom and has a booming photography business, with house cleaning. It is her and her two children. She has a four bedroom house and is looking to have me come every Saturday and do a whole house cleaning. What would be a fair rate including gas to get 35 miles to her home? I cleaned house for many years. 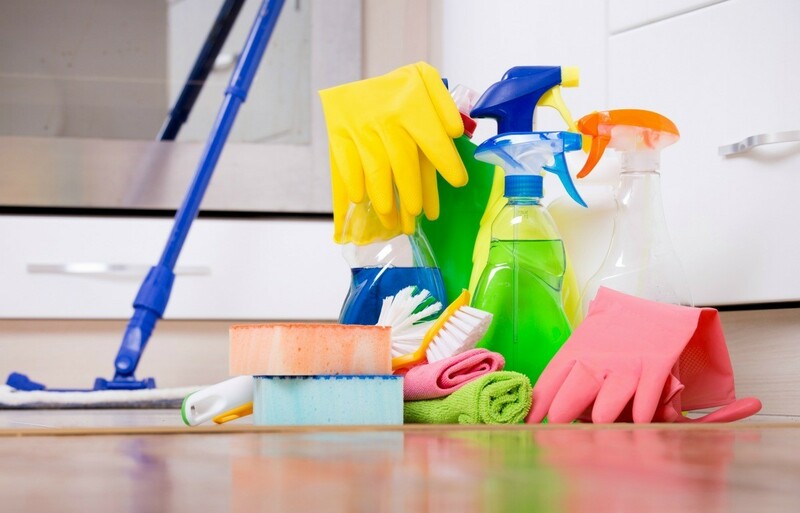 Most all houses take between 4 and 5 hours to clean. UNLESS thet have not been cleaned on a regular basis. If that is the case, the 1st time through it will take you twice as long. You need to know the going rate for your area. Where I live it is $30 an hour. This is a high cost of living area. Decide what your hourly rate will be, and your transportation costs, and you will know approximately what to charge. I cleaned most houses for $120 to $160. Dont shortchange yourself, It is hard work and you cant work much more than 5 hours a day. I'm once a week going to be thoroughly cleaning a friend's 3 bedroom, 2 bath house. It's a good size house with 2 dogs. I'll be mopping, washing, vacuuming, cleaning kitchen, and bathrooms. I am not sure the hours, but what should I charge? I'm thinking $15/hrs, but not sure if that is too much or not enough. I've had a cleaning service since 1989. Never charge by the hour. Just like anything else the longer you do it the better and faster you get at it so you will only cut yourself short. I would charge probably 65.00 a visit if it's once a week. 85.00 if every two weeks and 100.00 if once a month. Could be a little more depending on the condition. The first clean would be around 100.00 because the first clean is always the worst. Again if it's pretty trashed it would be more. Another reason to charge more for the initial clean is in case they have you clean once then decide they no longer want you. Since this is a friend you might knock some off the price but I wouldn't get in the habit of doing that. I am cleaning a big house. I have 2 bedrooms that I clean, 3 bathrooms, a big living room, kitchen, and dinning room. The client also wants me to do windows and there are times that I do laundry. He wants to pay me $200.00 a month and I clean it 2 times a week. It takes 4 hours each day. Is this enough? This website should give you an idea of what you should charge. You are making approximately $6.50 an hour, if I figured it right. I'd say you need more money. You are doing a lot of work. You deserve a lot more money! It sounds like the person you clean for is really trying to take advantage of you. I've had that happen to me. Insist on more money. Your time is worth more. If I figured it correctly you would be getting $25 a day, or $6.25 an hour. I make more than that babysitting. That's $6.25/hr, that's ridiculous! I charge $15/hr to clean houses and no one has ever had a problem with it. I would come up with an hourly rate and tell him what it is. If he doesn't want to pay it, find a new client. He's not worth the trouble and doesn't appreciate your services. Good luck and be firm! Actually, you would be making less than $6.25 an hour over a years time on this monthly payment plan! Get out a yearly calendar and you will see all of the months of the year which have more days than just four seven day weeks. By my calculations it turns out to be almost 4 extra weeks of work either free to him or about $5.75 per hour to you over a years time. Minimum Wage in Texas is $7.25 per hour! I suggest you ask to be paid by the week based on eight hours per week and I think a 'minimum' fair rate would be $80.00 per week. He's not going to find anyone reliable who will do all the work he's asking you to do for less than that! Also, make sure he is the one supplying all of the cleaning products and equipment! Sincere Good Luck To You! What should I charge for an initial cleaning on a two story house with 5 bedrooms, 3 baths, den, dining room, and kitchen? They want cabinets cleaned out also, plus it's very cluttered. How much do I charge someone that needs a 4500 sq. ft. home cleaned. It has 3 floors. 3.5 baths, 11 bedrooms all together. It is a 1st cleaning and the owner wants top to bottom and it's just me and 1 other girl. What should I charge for a three thousand square foot plus house with 4 bedrooms and a den? I am starting my new house cleaning business near Minneapolis Minnesota. What should I charge? How much do I charge for a newly renovated, new tile, paint, and carpet, empty home at 2000 sq feet. $30 / hour seems fair to me, Erin. It's what I pay my cleaning service. However, if "newly renovated" means you'll be removing sawdust and other construction detritus, you may want to consider charging $35 / hour. I'm going to clean a two story house that has 3 bedrooms and two and 1/2 baths. I will do all the dusting and clean all bathrooms, vacuum, sweep, and mop. If she adds anything else what should I charge? I'm just not sure what to charge. Please help. I just retired as a cleaning lady. Most all houses take between 4 and 5 hours. I would tell new people it would be approximately 4 1/2 hours and what your hourly charge would be. Let them know you will give them a firm price after you have cleaned the house. Be careful, because if the house has not been cleaned on a regular basis, it can take twice as long to get through it the 1st time. You need to let people know this before you start. If folks have moved out, it will take twice as long as usual also. I charged $30 an hour, but I live in a high cost of living city. Some folks charge $15 an hour. You need to ask around. It just depends on where you live. Let people know that if they need to add work on to your usual chores; that you will let them know how long it took and charge them by your hourly rate. Good luck... I loved house cleaning. I lost my job 2 weeks ago and have been thinking of starting a cleaning business. I'm not sure what I should charge for this. I cleaned a friend's house, 1 bedroom, dining room, living room, hall, 1/2 bath, master bath, and stairs to 2nd floor. I really scrubbed which included cleaning the baseboards, dishes, and dusting. She gave me $100.00 for all of this and it took me about 7 hours. Is this the going rate? Did she pay me too much? I'm very interested in finding out more. Thanks. I clean houses also. I also do the deep cleaning that you did with this one. It just took you longer to do it than it will after you have more experience. For first time cleaning, I double what I normally charge, because of that deep cleaning. My basic charge is $30 per hour, after the initial cleaning. I normally do not tell my client how much that I charge by the hour. I go and look at the house and estimate how long it will take me and multiply that by $30, or $60, if it is a first time clean. This much of a house should only have taken about 4 to 5 hours, even with the deep cleaning. As I said, the more you clean, the more efficient you will become. I just wish that I had started doing this years ago. I love working on my own and being able to set my own hours. I am as busy as I want to be and have had the same clientele, all from recommendations, for years. They are like family to me. Good luck, and don't give up! 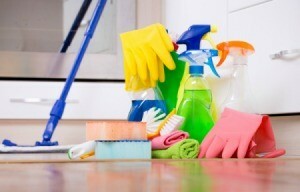 How much should be charged for house cleaning for a 3 bedroom villa on Kiawah Island, SC? Is this cleaning for a rental unit between tenants? or for mid-week housekeeping during a single stay? I want to start a housecleaning service and have no idea what to charge. Is it better to charge by the job or by the hour? There will be 2 people working at one time. What would be a fair price to charge for my area? I am near Atlanta, GA. Call cleaning services and ask them what will be done for a two hour, two cleaner booking. Call all the ones in the book, and you should have a good idea of what the going rate is, then decide what you want to do. You can charge the same, or a little less until you get more experience, or charge by the job until you get really efficient (which will basically be putting the responsibility on you, which is fair). When you get more efficient, you'll still get paid, but it won't take you as long so you can book more. However, if you are experienced and efficient (by your own estimation), that doesn't apply and you just need to find out the going rate.